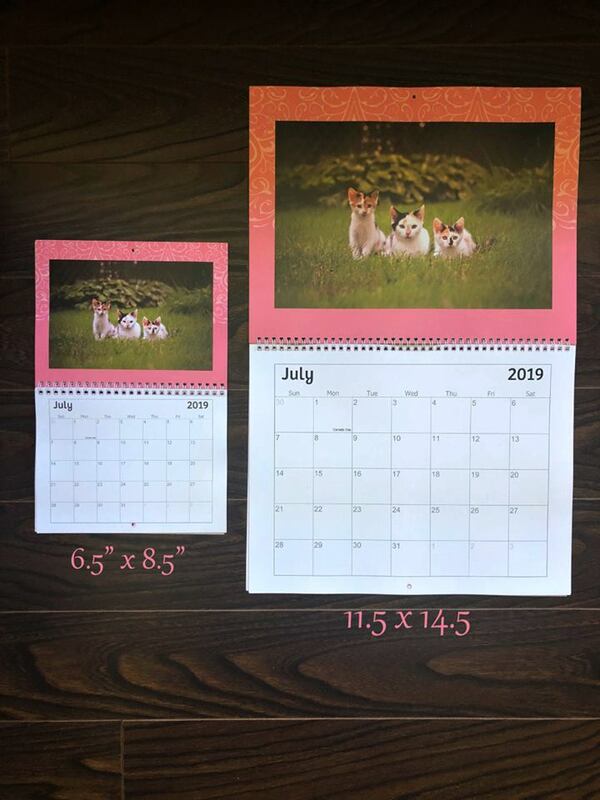 Our 2019 fundraising calendars are in and they are awesome!!! The mini size is $20 and the large is $25. Please note the dimensions in the picture above as the sizes have changed slightly this year. If interested in purchasing a calendar please contact us through Facebook or email loriburnell@eastlink.ca or jillhardy@outlook.com. We can ship anywhere but the cost to ship will be added to the price. We can accept etransfer and will arrange for pick up or delivery at this point. 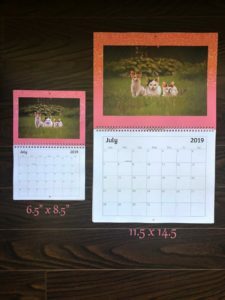 We are still working out the details with a couple of business where you can purchase your calendar. At this time we have confirmed they will be available at Blue Ribbon Pet Supply in Charlottetown and we are waiting to hear back from a Summerside location. The calendars are not in store yet but we will post when they are available. There are a limited amount at this time. Once they are gone we will only be taking prepaid orders but can order as many as you want. What a great Christmas gift for the cat lover on your list!! Etransfer on the way. Just let me know where & when for pick up please!